We believe in each individual’s ability to achieve the best quality of life and the best health. To support this, we offer a weight loss program for those ready to lose weight by changing their lifestyle and behaviors to keep the weight off. You don’t need to be a chiropractic patient with Dr. James to take advantage of our program. Meet your weight loss goals! 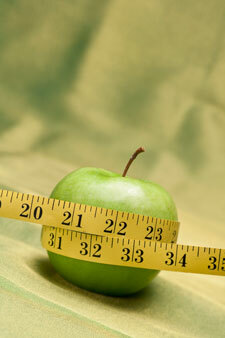 Dr. James is certified in weight loss and accountability to coach you through every step. You’ll meet with him once a week and sit down together to create a diet plan that modifies your food intake. You’ll think about food differently and interact with it differently, keeping a food journal Dr. James will go through with you on each visit. We’ll talk to you about your emotional state and changing needs. Through our combined effort, we’ll change your life and get you to where you want to be. Your weight loss program will involve products like supplements from the Solutions 4 line that work effectively to help you lose weight. With these herbal supplements and protein products, you’ll see the pounds come off and your health will be restored. We’ll also help you with exercises that can be done in our office. Let us help you make new decisions and get you different results than you’ve seen before.